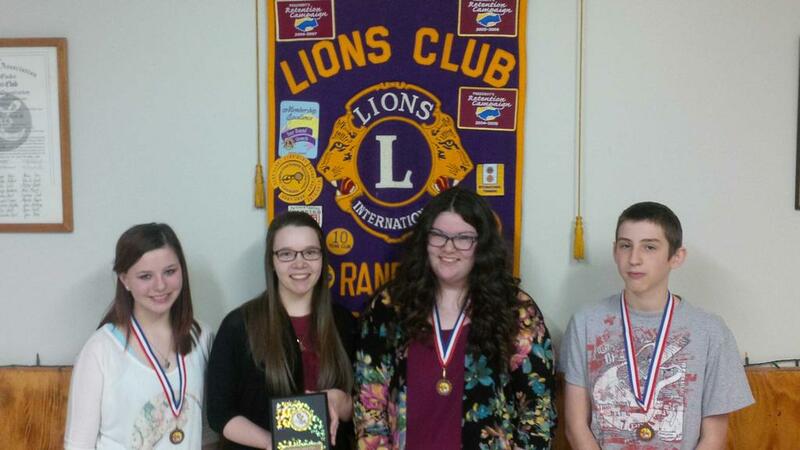 Four students from Random Island Academy competed at the Random Lions Speak-off at the Lions club in Elliott’s Cove last night. Lions Club members, judges, parents, and guests were entertained by speeches about the effects of social media on today’s youth, the validity of awards shows such as the Oscars and the Grammys, Internet addiction disorder, and the impact that last Fall’s shooting in Ottawa had on our country and its people. All four speeches were great and our students represented our school very well. In the end the judges awarded 1st place to Joanne Hart (Gr. 12), 2nd place to Melanie Reid (Gr. 12), 3rd place to Patrick Bowering (Gr. 11), and runner up to Taylor Martin (Gr. 10). Our students all gained valuable public speaking experience along with Plaques/medallions and cash prizes. Random Island Academy would like to thank the Random Lions Club for their continued commitment to public speaking and for being such fantastic members of our school community. Your organization has long supported our school and its students and we are very grateful! We look forward to the Intermediate and elementary Speak-offs coming in the Spring! This entry was posted in Important Information, School Life Archive and tagged Important Information, School Life on February 26, 2015 by riawebsite.